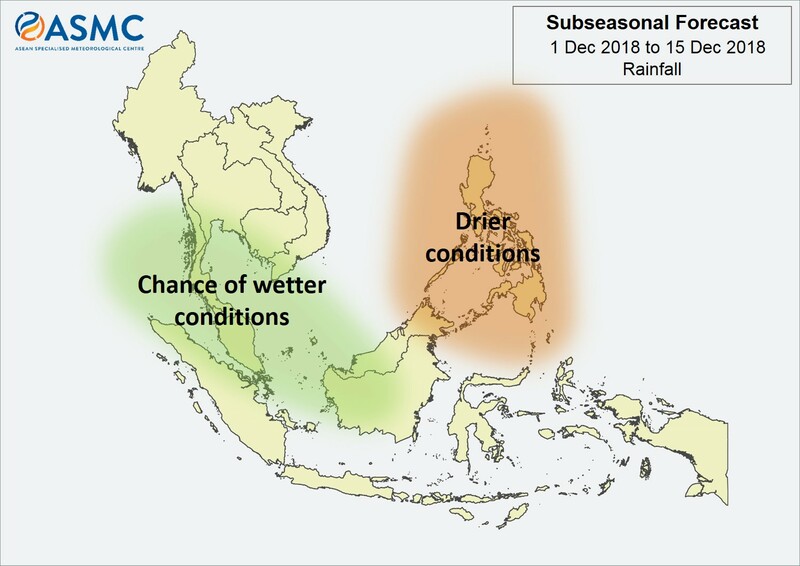 The Northeast Monsoon season will bring the traditional dry season to the northern ASEAN region, and more shower activities to the southern ASEAN region. Drier-than-usual conditions that have persisted over much of the Philippines and northern Borneo are forecast to continue. There are signs of MJO strengthening in the Pacific Ocean. The MJO is expected to further develop and propagate through Phase 2 in the latter part of fortnight. This may bring more rainfall than average to the equatorial South China Sea region, with the highest likelihood over southern Thailand and northern Peninsular Malaysia towards the second week of December. 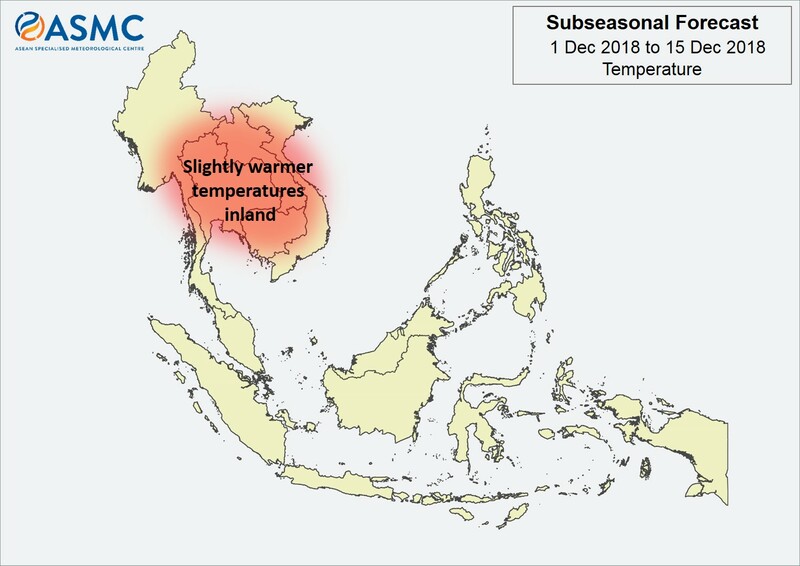 Temperatures in the Mekong sub-region are expected to be slightly warmer.